Minister of Agriculture and Rural Development Chief Audu Ogbeh has attributed the low milk production of domestic cattle to the long trekking distances cows endure in the country. Ogbeh, fielding questions from journalists in Abuja recently, also pointed to insufficient food and water as serious dangers. 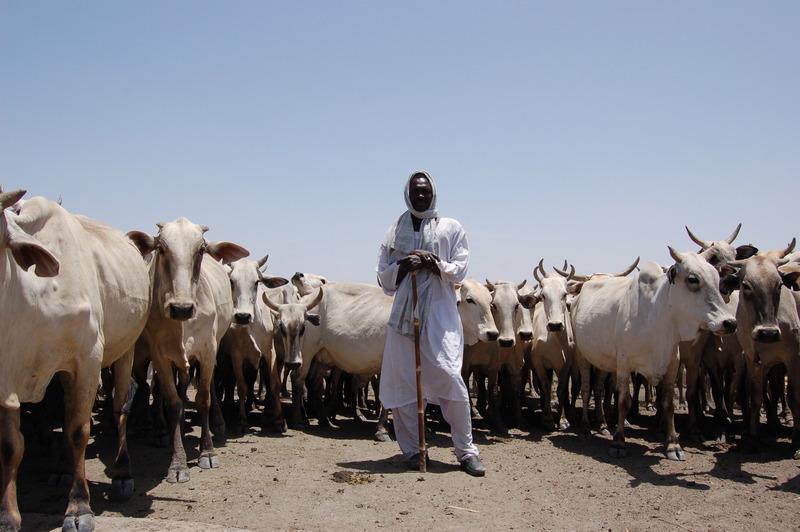 “To deal with the question of cattle, which represents 7% of GDP, and yet a cow walks from Adamawa to Lagos and losses 40% of its weight. “The Nigerian cow gives you one beer bottle of milk per day and cows in Europe are producing 40 litres. “The reason is simple: our cows walk too much. They don’t have water to drink and proper grass to eat. It is not just any kind of grass,” the minister explained. He added that farmers lose what they grow due to the lack of storage facilities. “We lose a lot of what we grow to post-harvest catastrophes like lack of storage, transportation and village roads, [which are] simply not maintained because the local government system has collapsed. “So farmers can’t even move their crops to centres where they will sell them. “We have things in demand in Europe, but we haven’t yet arrived at standards demanded by our buyers, even the packaging and the processing for us to be able to hit the European market and do what others are doing like Kenya in East Africa, Cote d’Ivoire and Ghana with pineapples and all kinds of crops they export. “So agriculture will remain at 22 or 25% for a while until we intensify irrigation and production,” the minister concluded. Audu Ogbeh is trying to rehabiliate himself.He first said govt will import special cow grasses from Brazil and we told him that cattle rearing is private business.He came up with Cattle colony and we cried out that he is planting Fulanis in other peoples ancestral lands through the backdoor.He was opposed to Ranching by his own state and party Governor Ortom,later he said ranching is the way to go. Now he realize that too much trekking inhibite sufficient milk production by cows,wao,what do we believe from Geography graduate Audu Ogbeh?